There's so much that goes into wedding planning: location, dress, catering, guests... the list goes on and on. How about taking the planning out of transportation? 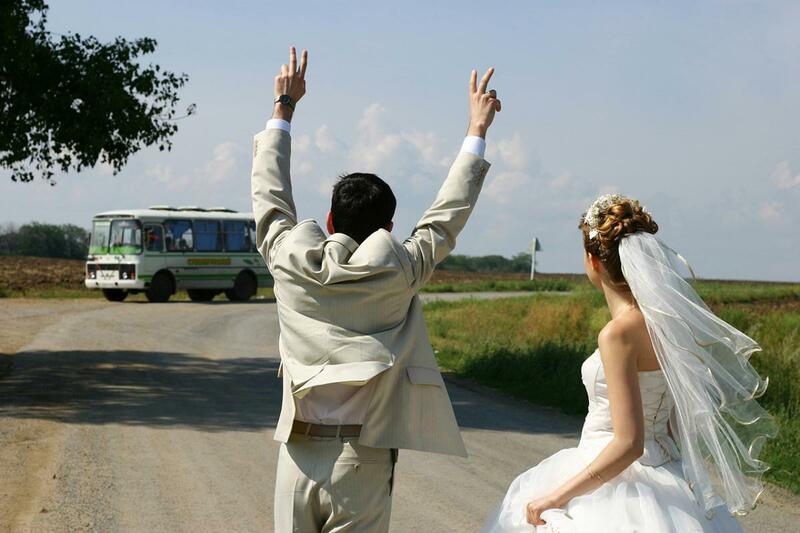 Here are five reasons you should charter a bus for your nuptials. Weddings are super fun, and the fun often goes all day and into the night. Why worry about how everyone will get around safely? Renting a bus gives you a built-in designated driver, so you don't have to fret over transportation. Renting a bus gives everyone a chance to ride in comfort, altogether, and get there on time! One of the most stressful parts of the occasion is the transportation before the ceremony. A bus is an easy way to ensure a timely arrival for all. For out of town guests, or even in-town guests not familiar with the location, the bus takes the worry out of finding and following directions. Turn off the GPS and sit back, relax, and get there without getting lost. Maybe a bus isn't the first thing you think of when you think of wedding transportation. However, buses offer lots of room for guests, so everyone has the space to relax without getting everything wrinkled before the party even starts. Guests will appreciate the intimacy, fun, and room to situate on the bus. Getting everyone together on a bus makes for lots of opportunities for fun. Busses are safe, intimate ways to make the travel part of the wedding and reception more exciting. Let Caldwell Transportation take care of one of your to-do items. Contact us today to learn about our bus charters.